I originally posted this in October ’12. This week I got I special note in the mail from JEPK’s mom, and she enclosed the gift of some beautiful cherry blossom stamps – sorry I forgot to photograph them! I love cherry blossoms. There are trees that bloom nicely outside of the parking garage at work so when I got back from Africa in late March ’11 and was working from D.C. I asked my colleague C, “Did I miss the cherry blossoms?” as we IM’d one morning. She checked on her daily walk (I used to cross paths with her and J occasionally) during lunch and reported back to me that I had not missed them. When I got home I slept downstairs in front of the T.V. and I was very confused about the things I saw on the news. I was conscious of the Royal Wedding (I think the nurses had been talking about it so I dreamed about it), but everything else that happened during the larger part of April-May 2011 I missed entirely since I was asleep. Even when I’m not asleep I live under a bit of a rock, but getting sick just exacerbated things. One day I couldn’t stand it anymore so I asked, “Mommy, they caught Osama?” She confirmed that yes, that had happened before I woke up. A few days ago I heard about the car bombing even before it hit the airwaves. I didn’t miss anything since J told me about it. A couple of days later her sister RSKL talked to me about it, too. It had been particularly unsettling since there is a large K contingency in the Mother Country, and this act of violence had occurred on the street where a cousin who had recently visited us here was walking on a work break shortly before the explosion. Thank God she was spared. A couple years ago another family at church lost a beautiful young niece/cousin in another car bombing. Our loved ones are often not spared and those who remain must mourn and keep on living life. For many people that life is lived within a conflict zone that doesn’t exactly invite peace of mind. But home is home, and peace of mind must often be Divinely superimposed on a situation. A few years ago Mr. R (K&I’s dad) told me that nothing was going to happen to me that God didn’t know about. Mrs. R (their mom) also told me that no one was going to “tie my bow” (like when you put a ribbon on a present) better than the Lord would. I was really stressed out (to the point of psychosomatic symptoms) and was afraid of all the messy loose ends I was facing at the moment. In retrospect I’m amazed at how they told me these things with such conviction. “How did they know?” I asked myself. But the answer demystifies their adamancy: Experience. They spoke with certainty because of their own experience. Several years ago when Dad had cancer I cried in the parking lot at church but tried really hard to hold back the tears because I told my friends, “I don’t want to indulge.” But when she saw I was really struggling, JEPK stepped forward to give me a hug that said I could cry all I wanted and it would be fine. It was the kind of comfort born out of experience – the kind of hug only someone who has known great familial sickness and sadness can give. When I was in Burundi I met some people who had every reason to be angry and bitter, but had chosen not to let the violence that had robbed them as younger people poison their adulthood. They were now choosing to pour out their lives to serve “the least of these” of their country and I was amazed at how quietly and resolutely they worked after how much they had endured. The war years formed a generation’s collective experience and the people I’m thinking of chose to take their experience of God’s grace in the midst of tragedy and applied it to their lives as they looked to a brighter future. So for all you folks in the Mother Country, thank you so much for praying for me over the past ~18 mo. Now it’s my turn to pray for you. And I’m not the only one over here who thinks of your anxiety and prays for your peace. There are so many of you over there that your collective experience of God’s grace must be astounding. If I could travel I’d go visit you and ask you to tell me about it over a very large meal :). Posted in In the News, Things that help me recover, This wasn't an accident. 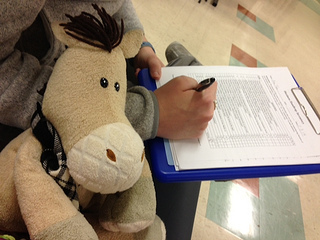 Tanpo took me to the doctor yesterday. As we got out of the elevator and headed down the hall to sign in I pitter-pattered my way ahead with Leo and called behind me, “Hey, Daddy – look how fast I’m walking!” (It’s “fast” for me, not for you.) All he said was, Praise the Lord. Yeah, that about sums it up. As we gear up for Thanksgiving, I’m feeling very thankful for the ability to walk around the house, sleep upstairs, cook things, and file my mail. This is the stuff of life I wasn’t sure would be in my future at one point. On my last day as an inpatient my PT asked me what my goals were as part of the exit survey. “Those are definitely attainable goals,” he told me. He was right. Check, Check! Goals met. I’m also thankful that you’re taking the time to read this blog. Lately I’ve had consistent hits from the Philippines. Thank you for reading this. I live under a rock and am on a need-to-know basis, but I have seen what’s happened on the news. Actually, images of people with tear-stained faces are all too common these days when you look at a newspaper or a TV broadcast. But when the disaster has happened to you, it doesn’t matter – it’s your life that has been devastated. And for every person captured in a moment of deep sorrow by a professional photographer, there are countless others whose wounds are undocumented. I don’t understand everything, e.g. why bad things happen. [But what I do know is that] the way God planned to have a relationship with humans met the need of my heart – and it was a DEEP need. I could not have sustained that level of angst any longer. Something would’ve happened. But He relieved me – and gave me peace that day – and I’m so thankful…bc it was too much. And He knew. I originally posted this in October ’12. This week I got I special note in the mail from JEPK’s mom, and she enclosed the gift of some beautiful cherry blossom stamps – sorry I forgot to photograph them! I love cherry blossoms. There are trees that bloom nicely outside of the parking garage at work so when I got back from Africa in late March ’11 and was working from D.C. I asked my colleague C, “Did I miss the cherry blossoms?” as we IM’d one morning. She checked on her daily walk (I used to cross paths with her and J occasionally) during lunch and reported back to me that I had not missed them. 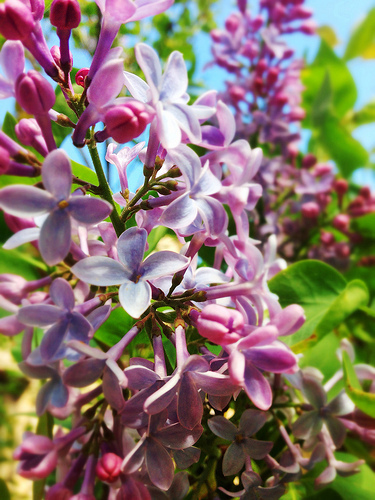 Aren’t these lilacs pretty? They didn’t bloom the year I got sick, but now they’re back in action (like me). I had a funny moment yesterday. I was having a cup of green tea right before 6 o’clock (this is when my drinking window closes – I was advised in the hospital to limit liquids after 6 so I wouldn’t be getting up all night), and I remembered that Katie’s Red Velvet Brownies are indeed NOT dairy free as I originally stated (unless you use soy yogurt). So I fixed all of the pictures/text I could that was already online, and I apologize for misleading anyone. It was unintentional, I promise. I blame the brain injury. In case you missed it, a large chunk of my cerebellum is missing. The cerebellum isn’t in charge of remembering the ingredients in a recipe, but I surmise that messing with one portion of the brain didn’t have a truly isolated impact. I have never asked my surgeon how much since it doesn’t really matter anymore – I’m proof that you can live with a partial brain and knowing the hard number (I do know a ballpark via my neurologist, but I don’t state it publicly) won’t impact the way I live. I feel the way I do, and I try to compensate – it’s been the same since before I was aware anything had been removed during surgery, too. I just trot out the fact that I’m functioning with fewer grey cells than pre-AVM as a convenient excuse when I have a brain flop moment. 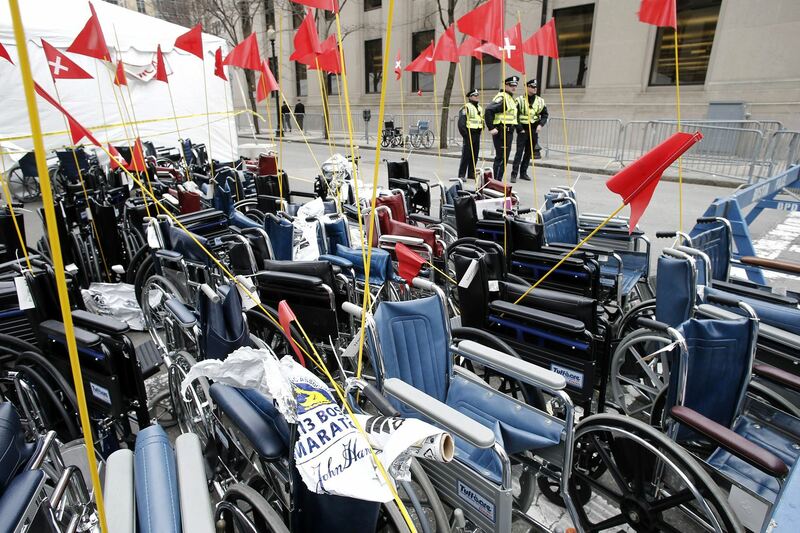 Side Note: I saw a heartbreaking picture yesterday (like the one below) of wheelchairs waiting behind a police barricade at the Boston Marathon. I have been assured multiple times that removing anything during surgery is a necessary life-saving action, and nothing is removed unless it HAS to be removed. I would assume the same rule for amputation. To those who lost limb(s) at the marathon, in combat, in a car wreck etc. – you can and will learn to live again. A brain flop moment is more desirable than a falling flop moment – when you actually fall while walking. The first time I fell in public my sister consoled me by telling me a story of a lady walking into the elementary school at the same time as Ai Ai. The lady tripped and her stroller went rolling but thankfully my sister caught it and the baby before they got too far away. So falling happens even to perfectly able-bodied people. It just happens more often to me than you. I had honestly forgotten! I’m glad I’m able to forget things like this. Of course, I’d rather not fall in the first place, but since I do fall I’m pleased that it doesn’t rattle me like it used to. It’s a common saying that if you fall, you get up again [and do whatever you were trying to do]. It helps that I know how to fall, and am used to minimizing the chances of sprawling on the floor. But even in handling the mini-flops (e.g. when I can brace myself against a wall or a piece of furniture) I am too interested in living life to be distracted for long. 108. Don’t be a crybaby today, okay? I have a secret to tell you: I do not like yogurt. I consume and cook with Greek yogurt a lot because it’s good for me. But honestly, I like pudding better. Alas, my days of shoveling butterscotch Boost pudding in the hospital are over (actually, that’s a good thing) and I am trying to like yogurt now. I also had a disinclination for it leftover from how I had to eat dishes of plain yogurt in the hospital while I was getting IV antibiotics. But now I’m living in the free world and am trying to eat well. I was going to make you a fabulous sugar-free, vanilla bean-infused custard, but I broke down and just did what I really wanted to do – I added some Jell-o pudding mix into some Greek yogurt and called it a day. I have another secret to tell you: I am mean and aggressive. Okay, maybe it’s not a secret anymore – but I hid it well for over 30 years! But now I have no choice but to let it all hang out. When the awfully sad Connecticut shootings happened there was no way Mom & Dad could keep me from finding out, but I did not see any images/programming related to the event. A couple of my friends referenced it in conversation but did so obliquely, eyeing me and tiptoeing around the meat of the matter first, trying to discern if I had been informed of what happened. Yes, I knew, and yes, it made me (and the rest of the world) sick. Similarly, I knew what happened in Boston this week, but had not seen any images related to it, nor did I plan on seeking any out. But we arrived at Planet Rehab today while the morning news shows were still on, and the flat screens in the waiting room broadcasted the latest updates and the saddest pictures from the marathon’s finish line. Ugh. I got so mad I had to turn my face away. I was unable to refrain from adding some of my own commentary, thus proving to Mommy that a career in public speech writing will never be mine. I heard on the radio of two brothers who both lost a leg. I also heard that most people who were hurt suffered the majority of their injuries in their lower extremities. :(. Booo. I never was a runner (definitely not now), but I would expect it to be devastating to be faced with leg/foot amputation/injuries as a runner. I know many who were injured were waiting for their loved ones to finish the race. To the spectators: You are no longer a spectator. You’re the main event. You went to the race to support your friend(s). Something Very Bad happened. (Grrr.) Now it’s our turn to support you. Others were actually competing. To the runners: A) The fact that you were even running a marathon means you have attained a level of mind-body discipline that most of the population has never experienced. You trained your body once to do what you wanted it to – we will cheer you on as you do it again. B) Around the time I learned to walk at The Place, A (6) was also training Tom P. (a man with a lot of gumption and a shattered T12 vertebra) for the Marine Corps Marathon. He is a paraplegic (I think) and used a recumbent hand bike for the race. The bike got a flat tire when he was 5 miles from the finish line – but he finished anyway. 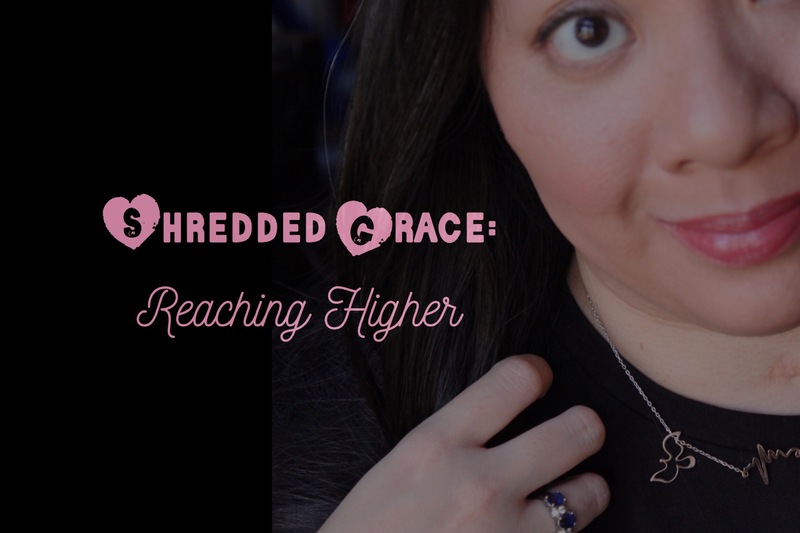 I tell you this as something to encourage you – but it was hard for me to hear “success stories” early in my recovery since I was just working on sitting up. So if you’re at the level where you’re working on regaining the simplest of tasks, let me assure you that this is praiseworthy. I’m just saying that if you work in consultation with your medical team, there are LOTS of possibilities for your success. Easy to prepare mini puddings with a pretzel crust and Greek yogurt. Makes 2 servings – if you want to make more, just eyeball it. My amounts are approximate, too. Mix pretzel crumbs (I love the salty-sweet effect) and coconut butter. Press into bottom of ramekins, or whatever dishes you’re using. Let chill in fridge. Blend yogurt, pudding mix, almond extract and splash of milk (I used an immersion blender). Put a layer of this yogurt/pudding over the pretzel crust. Let chill in fridge. I had CCK PB fudge (sweetened only with banana, I used PB2) in the fridge, and there was also ganache. There is ganache in our fridge because I live with Mommy. You can make ganache by pouring hot milk/cream over chopped semisweet chocolate, or chocolate chips. Stir until smooth. I put a big dollop of CCK fudge on top of my pudding to bulk it up and then covered it with ganache to make it prettier. If you’re into 100% ganache I would support that decision. Chill until chocolate layer sets and enjoy! PS. I actually like to scrape the chocolate layer off, save it for later, and eat the yogurt/pudding and pretzel layer by itself. It makes the eating process last longer, but it’s not as Boston Cream – like. So go with your gut – the consumption technique is up to you. 61 2x. American Folk Hero: it’s Paul Bunyan, Johnny Appleseed…and Gabby! See? I told you I had a lot of hair in the hospital. There was so much hair I had bad dreams about all the strange braiding and pig-tailing that was going on. I saw a recent Time Magazine cover w/ Gabby Giffords on it and she has a lovely mid-length halo of blonde/honey-colored curls (the photo was b/w so I can’t be sure of the color). Her hair has grown back so nicely, although it was also very pretty when it was in the “pixie” stage. Growing hair takes time, and the fact that GG no longer has the close-cropped hair that marks a brain injury patient is a reason to celebrate. FYI, My family/friends didn’t know what to expect when they first saw me in the hospital – would my hair be all gone? No, they only shaved the back/left side. It took about a year for it to grow out. But when we first got home I tried to get Mommy and my sisters to shave my head entirely. I thought it would be easier for Mommy while I recovered, and I fully intended to go to Africa, so I thought it would be easy for me to deal with there, too. While I was visiting, JCJ pointed out the salon I could go to to get my hair done. It was unfortunately named, “The Raccoon.” I don’t like raccoons and opted to shave my head instead. Mommy/my sisters refused to oblige and now my window of opportunity (for credibly short hair) is closed. A few weeks ago I heard on the radio (we listen to WTOP in the car) that former Congresswoman Gabby Giffords was going to appear in court at the sentencing of the man who shot up a supermarket in Arizona, debilitating her and killing several others. Her husband, Mark Kelly, read a statement for the both of them. I forget the bulk of what he said, but what is seared in my memory is that he told the shooter, After this day we’re never going to think of you again. That man altered the course of her life, but what people focus on is not what he did, but how she responded to it. I saw an episode of 20/20 about her and I cried my eyes out when she cried out of frustration during Therapy. It was looking a little too familiar. But she’s moving and speaking really well right now, and my other takeaway from the show was that she appears to have selected a real winner as a partner in the race of life in Cmmdr. Kelly. Meanwhile, as the world waits to see what she’s going to do next as she continues on the upward trajectory of recovery, the chapter is closed on the man who shot her at point blank range. I can’t even remember what his sentence was. On to happier thoughts: It’s part of the human experience to search for significance. Some people are so desperate that they embrace violence in order to get people to notice them. This is wholly unnecessary, though, since everyone matters to God. One way parents teach their kids about this is the simple celebration of significance known as The Birthday Party. Ezra had his 3rd birthday bash this weekend. His actual birthday is a little later on, but I’m glad we celebrated early so he got a special day that was not mixed up with the arrival of his little brother. We celebrated with a bunch of his friends by taking a train ride. All of my PT experience culminated in my ability to get myself into and out of the little red caboose. We should have taken pictures, but we didn’t, since my family was busy spotting me as I climbed the big ladder/steps. But it was entertaining, I assure you. Ezzie was a little nervous at first and parked himself next to Grammo (Mommy) and looked out the window. He felt a little better when it was lunchtime and Ruth came to ask him about his menu selection. Then Ernie took him “upstairs” to the little cubby where there is a small bench and a window. Big sister Karine was immediately comfortable in these little cubbies but Ez needed some warm up time. He later sat there and ate a special dinosaur cookie with Grampo (Dad). I think the time with Ernie and Dad sealed the deal for him and made Ezra comfortable in his train ride party. By the time Ruthie lit the candles on his celebratory cupcake, he was smiling. I was so pleased to be able to join the party on the train. It was a little rustic but a fun experience, and after all, you only turn 3 once. I am so glad we were able to make a special day just for “my son,” since we will all be bustling around a new baby soon. But that day, with the juice boxes, “Tommy Choo Choo” napkins and dairy-free cupcakes was all for Ezra since that boy is hugely significant in our lives and we wanted to celebrate it. I have several friends who are teachers and even more who are parents of young children. One of them told me she had been like, Ummm, how ‘bout we never send our kids to school? after what happened in CT. One of my teacher friends told me how she had to talk about what to do in case of an emergency with her students. We could hide in the closet, they suggested. When she pointed out the presence of shelves in said closet, they were like, Remove them. And so the solution was matter-of-fact and easy as pie for them. How heartbreaking that kids have to make plans like this. And yet they do – it’s simply their reality now. Yes, there are lots of developmental toys and other things that weren’t around when I was a kid, but although I never carried a cell phone in my backpack I didn’t worry about violence when I went to school, either. No matter how much parents might try to shield young ones from learning about the horrifyingly sad things that have happened of late, these kids sniff the fear in the air and plan accordingly. I am no stranger to contingency planning. My most recent contingency plans have focused on physical preservation in the event of something happening and my limited capacity not allowing me to respond in an immediately helpful way. E.g. I planned how to slow myself down if my wheelchair went down a hill too fast and I usually have wall radar now – meaning I’m always aware of where the nearest wall is and try to stick close to it in case I lose my balance. In the past, though, I used to think about if something happened to Mom and Dad when they were travelling. This was not me just thinking morbid thoughts, it was a very practical concern that led my parents to fly on two different planes whenever they trekked to the Far East. One year they went to S’pore/Malaysia during tax season and Tanpo told me, This (pointing to a stack of papers on the breakfast table) is what you take to the accountant if anything happens. I remember thinking, Ummm…do we have to be so doom and gloom? But then I realized that my parents’ contingency planning wasn’t “doom and gloom” – it was just their way of facing logistical reality. Once I realized this I gave some thought to what I’d do in the event that something did happen. I started mentally listing my friends’ parents who I knew would be at my doorstep as soon as humanly possible if I ever called on them. Once I told myself the third or fourth couple’s name I stopped – it was enough – I knew I was all set. That didn’t stop me from praying for the safe and uneventful return home of my own parents, but knowing that I had so many loving surrogates I could “borrow” from my friends made me feel secure. I figure that’s all we can do for these little kids who are confronted with issues of life and death when they should really be concerned about their next spelling test or remembering their multiplication tables. We can’t make the children in our lives exist in a safety bubble (even though I know some of you are trying :)) but we can love every one of them who comes into our sphere of influence. 61. American Folk Hero: it’s Paul Bunyan, Johnny Appleseed…and Gabby! As you can see I was unamused. I swallowed two Dayquils on Tuesday morning without incident. Without major incident, I should say. This is an improvement especially since a year ago I had a very bad cold and Tanpo had to go to the store to get me some smaller pills since just looking at the Dayquils was enough to convince me that they were a choking hazard. He called Mommy from the “cold & flu” aisle and she talked him through the purchase. In other breaking news I woke up on Tuesday morning to the sound of a gentle rain falling, not the loud gusts of the night before. On Monday night our alarm system and the doorbell were both going crazy. Whenever there’s a power surge the doorbell sounds and so does the alarm. Specifically, the carbon monoxide monitor goes off and the Fire Department shows up. They know our house well, having visited us so many times lately, and they are very good-natured about coming in and checking the alarms in the middle of the night. It’s their job, they say, and they’re obligated to come inside and use their monitors to check the air even though Mom and Dad assure them everything’s okay. We owe them some cookies. Lots of cookies. Mom was reading me some of the headlines as I sipped some chamomile and she told me how a hospital in NY had to be evacuated. How scary! I’m so glad that never happened while I was a patient. I did try to “evacuate” once, though. I was the only person who got the memo, which is to say that I was trying to escape. I didn’t get very far since I met Tanpo in the hallway and I rolled my chair meekly back into my room. The technical term for this behavior, btw, is to “elope” – PT6 taught me this word when I asked him “Do people try and escape upstairs?” “Upstairs” is where the inpatients live at The Place. I saw another story online that showed a lone figure at the Tomb of the Unknown Soldier. Apparently inclement weather is eschewed as an excuse for leaving the Tomb unguarded, so someone is always posted there, hurricane or not. Everyone doing their duty out there – be it checking some cranky carbon monoxide monitors or evacuating a hospital – I salute you. There’s something to be said for a job well done. It was a huge relief to finally have a trade I could hang my hat on when I got my MBA and became a financial analyst. (I was an English major as an undergraduate.) But some of the most valuable skills I had in my last job and my first job were the ones I didn’t learn in school. They were the qualities that made my bosses comfortable with me interfacing with their clients and extracting information from their technical experts. In the same way, one of my most comfortable moments in the hospital came not when my nurses were fixing the cushion on my food tube or administering high-octane pain-killers (although I’m not going to lie – the pain-killers were pretty fabulous), but during 5 minutes of quiet TV-watching while my nurse kept me company and did some paperwork. I used to watch The Food Network to make myself hungrier in the 3rd Hospital, and that was probably what I was doing that night after Mom and Dad left and my lights were out. (Note: I would not watch TV in the dark now since I know that this is poor visual hygiene.) My nurse gave me my meds and then sat on a chair next to my bed to do some charting. It was only a few minutes, and my extremely proficient nurse’s skills were focused on the computer, but I appreciated these fleeting moments of “normal” in the middle of an extremely bizarre experience. Spread one graham cracker with Nutella, the other with peanut butter. Place banana slices on each cracker then roast two marshmallows, and assemble accordingly. Or [if you don’t like peanut butter but do like open-face s’mores] stick two ‘mallows on one cracker spread w/ Nutella and bananas. I’m not fighting this anymore. I’m going to bed. That’s right, it’s not even 6pm, and as soon as I can get some sheets on my bed (the old ones are in the wash – thanks, Mom!) I’m going to climb in and shut my eyes. You’re probably already appalled, but in the spirit of full disclosure I should tell you I spent 2-3 hours in bed this afternoon. There are a couple of reasons for this: 1)I think I’m fighting a cold and 2)my vision is in that weird transitional stage where things get worse before they get better. At least I hope this is a sign that it’s going to get better. I certainly hope it’s not worse…period. Things are “moving” more than usual and this is why I used to keep my eyes closed or down all the time (until OT6 told me that wasn’t allowed anymore). I was told earlier this year that napping was a no-no in that it could poach my night-time sleep. Mommy was not a fan of this advice, and after I fought the urge to nap for a few weeks she said, “Listen to your Mother: take a nap!” It was a huge relief when I started feeling free to nap if I needed to, and I’ve since been advised that I should rest in the afternoon if I need to. When I was hospitalized all I wanted to do was sleep. I’d be lying there thinking, Umm…my brain is all messed up. Please let me lie here. But lying there was not allowed – I was supposed to be getting rehabilitated. So my nurse dug me out of bed for my own good, put me in my wheelchair and handed me off to my PT. Okay, I take that back – sometimes resting was encouraged. In fact, one of my nurses used to bring me a blanket that was all nice and toasty from the blanket warmer and tell me to sleep if I could. I often can’t when it’s the proper time to sleep, which is part of the reason that some folks frown upon naptime. The rain is getting harder outside and I can hear the wind blowing in big gusts intermittently. We’re all waiting for Sandy, and I will likely post this on Monday night as opposed to Tuesday morning in case our power goes out. I’m also hoping that my anticipatory posting will decrease the likelihood of the storm doing damage in our area. It’s like if you buy a snow blower – that year there will be <1 inch of snow. One of the biggest power outages I can remember happened back in 2003. We were preparing to go to Ernie and Ruth’s wedding and I was still making handbags. Since the power went out I hooked my sewing machine up to our little generator and finished up the silk bags the bridesmaids were going to carry. If the power goes out this time I will not be doing any sewing. In fact, I will not be doing any sewing if the power stays on, either. Poor Mommy tried to go buy some milk on Saturday morning but was thwarted by the attempts of Everyone and Their Brother who were out in full force looking for bottled water and toilet paper. I once saw a documentary on WalMart and how their computer system is so advanced in tracking consumer spending habits that they know when a storm warning is in effect people rush out to the store and buy strawberry Pop-Tarts. I’m completely serious. There are some situations, however, that toaster pastries will not address. Although I have to say that eating a hot cinnamon/brown sugar Pop-Tart at my sister’s house would make me feel better. Still, there are some things that no amount of emergency preparedness will make you ready for. For instance, if I had known I was going to get sick I would have cleaned up my guest room (which was littered with boxes and clothes from my Africa-trip packing) and closed out my credit cards. (Note: Autopay = Bad in my situation.) These actions would not, however, have eased the major angst my family and I were in for. The only things that help me, and I’d bet the farm that my family would say the same, are the habits I practiced in my old life – when reading and writing were no problem, I could stay awake for a very long time, and I earned a living like everyone else I knew. So I’m going to go take my contacts out and get Ed. I wouldn’t want him to be alarmed by the storm. We’ll find out tomorrow how bad it is. In the meantime, I’m going to bed – goodnight!